Would you believe it? 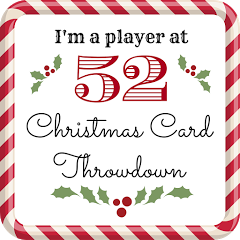 There is another Christmas card blog out there! It’s the ABC Christmas Challenge and what they do is have a new challenge every other week, the theme depending on the letter of the alphabet that they’ve reached. So they started out with „A is for Angels“, moved on to „B is for Bells“ etc. 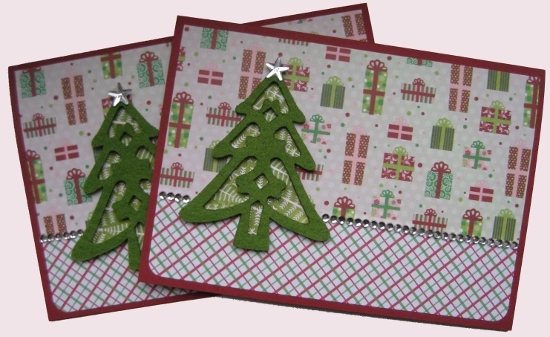 Now we’ve reached „T is for Trees“… and I wonder what will be next: „U is for…?“ Anyway, I got into the tree card creation mode and this is what resulted from that – as I had the supplies and was in the mood for it, I made two in one session. I guess that’s it for today… or not?! Lovely dp used and great tree. Fab cards – love the paper! 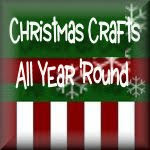 Thanks for joining us at the ABC Christmas Challenge – so glad you found us! HA ha! great cards! sounds like your a little addicted to the challenges! lol! and U is for! …..te hehehee not long to wait to find out! have fun and thanks for joining in our challenges! Samantha :0) ABC Christmas Challenge.